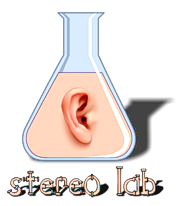 Stereo Lab - How do LP records measure up? In order to develop the Groove algorithm, it was necessary to establish realistic performance measurements from LP replay. Surprisingly, little real data exists on this beyond the various popular - and entirely qualitative - articles on the WWW extolling the advantages of analogue discs which are often hagiographic to say the least! Here are our own test results from a first class deck playing various industry test discs, plus a few theoretical musings. Harmonic distortion on 1kHz tone (established to be -20dB below measured peak groove velocity): 0.44%, 2nd harmonic, and 0.2%, 3rd. (Outer grooves.) Worst case (5cm/s groove velocity, inner groves): 3% THD. Frequency response: +/-1dB 40Hz to 15kHz (220pF cartridge loading). A remarkably good result considering the mechanical nature of the medium. Rumble: Can be very low, but in fact much more a function of the disc (and therefore presumably the lathe) than the replay deck itself. John Lennon's Double Fantasy LP recorded -30dB below peak level rumble with a peak at 10Hz (and this is with a two-pole rumble-filter switched into circuit!). But what is the theoretical dynamic range? Records are a highly-standardised mechanical-medium, it is therefore posible to calculate the dynamic range. The standardised groove geometry on an LP record is of a 2 thou* groove on a 5 thou spacing (the latter being based on 200 grooves per inch). 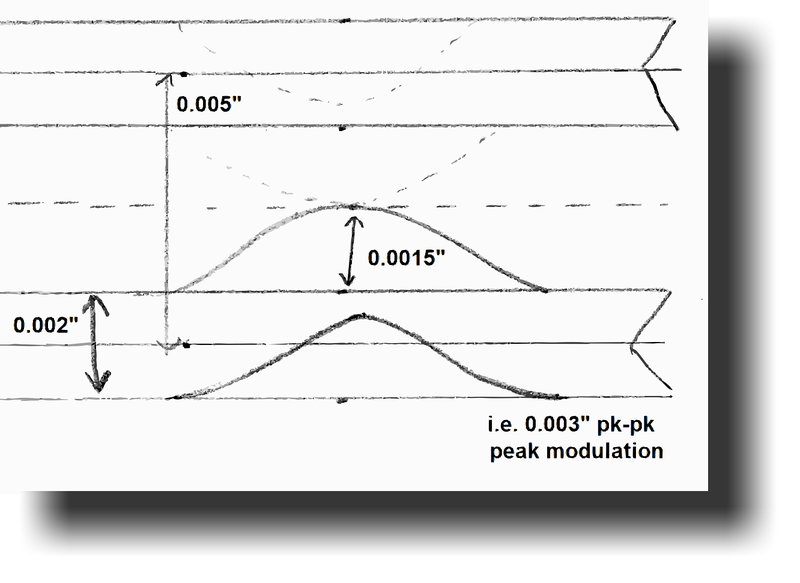 As the diagram right illustrates, the absolute maximum modulation of a groove is ±1.5 thou which is equivalent to 76μm pk-pk modulation. This is happily very close to the figure derived from measurement, the latter being inevitably a little higher due to mechanical noise in the tuntable bearings and electrical noise in the cartridge and preamplifier3. So we can be very confident of this figure. 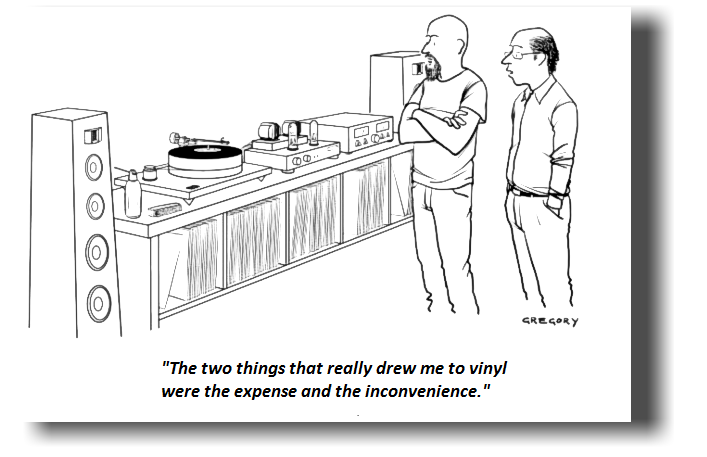 We can say that an LP record is roughly equivalent to a correctly dithered 13 bit-resolution digital-medium3. * Thousandths of an inch, equivalent to the American term "mil" and equal to 25.4 μm. 1. There are several issues with measuring noise levels with peak meters because you have to relate peak values to RMS values; the latter being the form in which noise voltages and levels are expressed. We can assume the RMS value of Gaussian noise is 1 ⁄ 6th of the peak to peak value (see illustration right). In other words, the RMS equivalent is 1 ⁄ 3rd of the peak value (for example, as shown on the DAW peak meters). One third = -9.5dB. In other words, the noise voltage RMS value is 9.5dB below the peak value. However, we can't express this RMS equivalent with respect to 0dBFS because that is itself a peak value. We need to express it with respect to an RMS maximum value. Assuming a sinewave, the maximum RMS signal is 0.707 of (or 3dB below) 0dBFS. The RMS value of noise is 9.5dB that which reads on a fast, peak-reading meter. The dynamic range of the system is 6.5dB below the meter readings. Thus, if the meters hover around -75dBFS, the dynamic-range is 81.5dB. 3. In fact, the various mechanical "rumble" mechanisms and electrical interference (especially hum) are the principal contributors. The internal resistance of a typical moving-coil phono cartridge is 10 ohms. The maximum RMS output from the cartridge is about 5mV (that being 20dB above the nominal 0.5mV @ 5cm/s level). 5mV⁄57nV = 87,720 = 99dB. This is very substantially (28 times!) better then than the theoretical maximum from the vinyl medium. The preamplifier will probably reduce this margin by 6dB but clearly the electronics are comfortably better than the mechanical limitations of the medium itself. A similar figure for dynamic-range is possible from a moving-magnet type provided that the inductive nature of the cartridge is isolated (as it is in the PHLUX cartridge.) Here, the internal generator resistance is 100 times higher but, because of the square-root sign in the calculation for thermal noise, the noise is only 10 times higher. The output voltage is also about 10 times higher too, so the ratio of maximum-signal to noise is maintained. 3. At least it is at low frequencies. Groove excursion is limited by RIAA equalisation to a quarter of the 76μm pk-pk amplitude above 2kHz when the record is cut. Thus the resolution of the medium is reduced to 9 bit at high-frequencies. For more information concerning maximum recorded levels on an LP, see this page.